Caroline V. Crawford is the assistant director of state and local research at the Center for Retirement Research at Boston College. 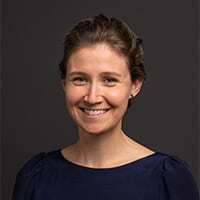 Caroline joined the state and local research team in 2015 and gained practical experience as part of the research team for the City of Houston pension analysis (through the Kinder Institute) and the New Hampshire Decennial Retirement Commission. Since transitioning to assistant director in 2017, in addition to her research contributions, Caroline handles state and local project management and quality assurance of the Public Plans Database. Caroline holds a BA in psychology from Colgate University and is an MBA candidate at Boston College’s Carroll School of Management.